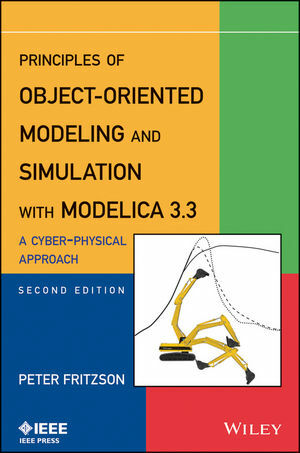 Fritzson covers the Modelica language in impressive depth from the basic concepts such as cyber-physical, equation-base, object-oriented, system, model, and simulation, while also incorporating over a hundred exercises and their solutions for a tutorial, easy-to-read experience. Peter Fritzson, PhD, is Professor and Research Director of the Programming Environment Laboratory within IDA, Linköping University, Sweden. Prof. Fritzson is also Director of the Open Source Modelica Consortium, Director of the MODPROD Center for Model-Based Product Development, and Vice Chairman of the Modelica Association, all organizations he helped to establish. Previously, he has served as Chairman of the Scandinavian Simulation Society, Secretary of EuroSim, and a Project Leader at Sun MicroSystems California.